Madagascar Fishing Adventures is a partnership between international saltwater fishing guide Graeme Field and intrepid UK angler and Crown Court Judge Neil Ford. We have combined our knowledge and experience to bring you an exciting fishing operation - one with an adventurous attitude! Our philosophy is simple: to offer affordable fishing trips without compromising on the key elements that make for world-class fishing - namely a dynamic fishery, practical, comfortable and reliable boats, high quality electronic equipment, and experienced guides / skippers. Our guests fish from our state of the art 28ft walk-around mono-hull boat, "King Julien", and our hand picked our South African fishing guides ensure that you enjoy a highly professional fishing experience. 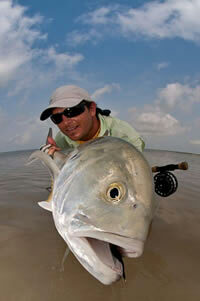 We cater for all angling types, but we specialize in spinning, jigging and hard-core saltwater fly-fishing. The team at Madagascar Fishing Adventures believes strongly in sustainability and conservation, and employs a catch-and-release policy. Hailing from the coastal town of East London, South Africa, Graeme has spent his life revelling in anything and everything the ocean has to offer. He is a qualified skipper and scuba diver, and recently achieved Springbok colours for surfing. He began fly-fishing at the age of 12 when he cut his teeth on the trout streams that run through his grandfather's farm, and soon progressed to the saltwater. Since guiding professionally for three seasons on Alphonse Island, Graeme has guided and fished at destinations such as the Seychelles, USA, Alaska, Caribbean, Mexico, Cuba, Mozambique, Tanzania, Botswana and Madagascar. A freelance photographer and journalist, he currently holds the position of Field Correspondent for The Complete Fly Fisherman magazine and has also contributed to magazines such as African Safaris, This is Fly, Fly Fishing in Saltwaters, Catch Magazine, Rock, Surf and Deep and Zigzag surfing magazine. He started his travel and guiding company Liquid Horizon in 2005, and in 2011 joined forces with long-term client Neil Ford to form Madagascar Fishing Adventures. Originally from Johannesburg, James spent his formative years fishing the rivers on the Highveld and Mpumalanga, catching yellowfish and trout. He later had the opportunity to travel and fish throughout Southern Africa (including Lesotho, Zimbabwe, Zambia, Mozambique, Botswana, Namibia and the Seychelles) targeting a variety of fresh and saltwater species. His passion for fishes and their ecology eventually led to a Master's degree (MSc) from Rhodes University in Ichthyology and Fisheries Science, where he focussed on recreational fisheries in South Africa. This included the development of a trout fishery in the Eastern Cape, training local community members as fly fishing guides, which was awarded a UN SEED award. 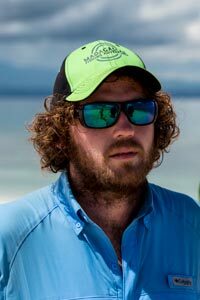 Since joining the Madagascar Fishing Adventures, James's enthusiasm, commitment and knowledge have made him an invaluable member of the team,and an excellent fishing guide. With his background in fishing, fish biology and ecology, James provides clients with a holistic fishing experience and will go to great lengths to ensure the satisfaction of our anglers. 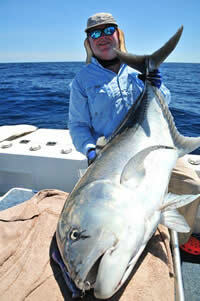 Neil Ford is a highly respected Judge in the courts of the United Kingdom, and a passionate fisherman. Graeme Field first met Neil at St Josephs atoll in the Seychelles in 2004, and so began a fishing relationship that has spanned almost 10 years. This relationship has taken them on numerous fishing trips to far flung fishing places such as Tanzania, Botswana, Mozambique, Seychelles, Mexico and Cuba. Neil is a big guy with a big heart and a hearty sense of humour, and often has his dry witted cousin Dougie in tow. The pair are an absolute blast to fish with, and have been the subject of numerous fishing magazine articles due to their dedication, antics and uncanny success with fishing rods in hand. Madagascar Fishing Adventures would not have been possible without Neil's backing. A self admitted tackle junkie, we can always rely on Neil for the latest and greatest fishing gear, keeping us ahead of the game at all times.